Aconite Herb also knows as: thung, leopard's bane monkshood, wolfsbane, women's bane, blue rocket, Devil's helmet. Aconite is an erect plant that grows to about 3 feet in height. The most poisonous part is the roots that is fleshy and spindle shaped. The Aconite leaves are deep green in color, with alternating spiral arrangement. Aconite flowers bloom in erect clusters of dark purple blue in color. Occasionally, the flowers may be white, pink, peach, or yellow. The aconite flower has a peculiar shape where one of its 5 sepals resembles a cylindrical hood or a helmet thus its other English names were derived. Aconite fruit is a follicle that bears a lot of seeds. More than 100 species of Aconitum are found throughout the temperate zones of the United States and Canada. These plants also are found throughout many parts of Asia, Africa, and Europe. They contain poisonous alkaloids such as aconitine. Aconite is a poisonous flower that historically was used as a tincture or oral medication to bring down the heart rate or sweat out a fever. Because the toxic dose was so close to the medicinal dose, physicians stopped using that as a treatment. However, today it is used to make homeopathic remedies for a variety of health conditions. Aconite contains the alkaloids aconine, aconitine, napelline, picraconitine, and others responsible for the plant's primary toxicities. Potency depends on the plant's alkaloid content, which varies with the season and the altitude at which the plant is cultivated. The leaves and roots usually have the highest alkaloid content. Other components found in the plant include malonic acid, succinic acid, itaconic acid, aconitic acid, sugars, starches, fats, and resin. Aconite also has its use in traditional medicine and Homeopathic medicine. Aconite is traditionally used as sedative, pain killer and an antipyretic. The Aconite root is the most toxic plant part, although all parts are considered to be toxic. But empirical obser­vation revealed that some aspects of their range of action could be beneficial. 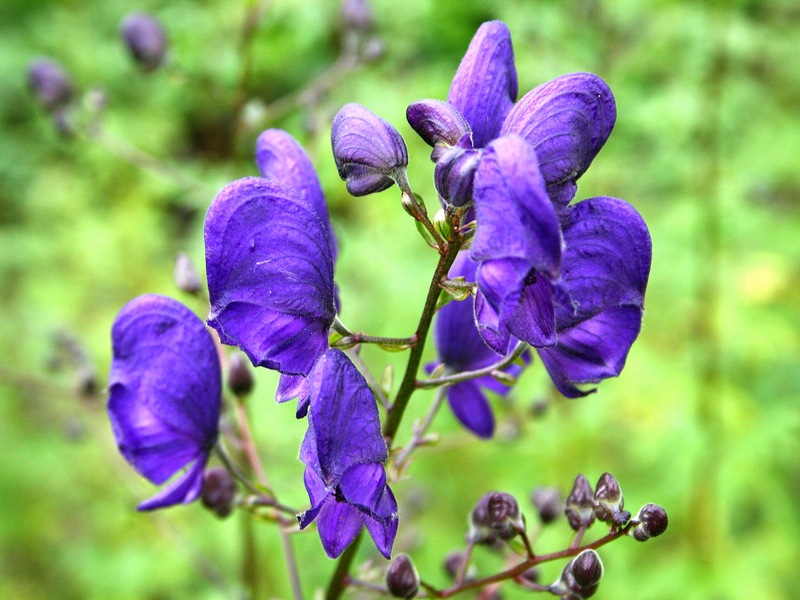 Extracts of Aconitum species have been given orally in traditional medicine to reduce fever associated with colds, pneumonia, laryngitis, croup, and asthma; for pain, inflammation, and high blood pressure; as a diuretic; to cause sweating; to slow heart rate; and for sedation. 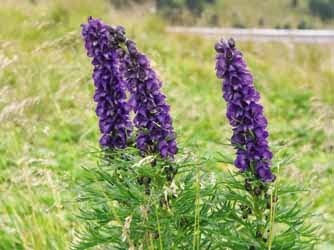 Some of the benefits of aconite that make it valuable to alternative medicine include its analgesic and anesthetic properties. It should not be consumed in whole form because it is highly toxic and can be fatal. This small dose stimulates the human body and produces beneficial results for the patient. It is well known for its ability to create a favorable response to painful acute and chronic condition treatments. Aconite medicine is useful for a wide variety of health conditions that involve painful symptoms. For example, it is helpful for sciatica, red inflamed joints, lumbago, neuritis, pleurisy, earaches, trigeminal neuralgia, back pain, gout, and even a painful sensation of touch. All these conditions may be improved with the use of aconite homeopathy as it's used for nearly all types of pain. Panic disorders, agitated depres­sion and many of the phobias, especially where fears of death are prominent, may be markedly eased with aconite's remedy, which seems to epit­omise the homeopathic principle so well. Aconite contains a strong, fast-acting poison that causes severe side effects such as nausea, vomiting, weakness or inability to move, sweating, breathing problems, heart problems, and death. Alert Death has resulted from as little as 5 ml of aconite tincture, 2 mg of pure aconite, 1 g of crude plant parts, or 6 g of cured aconite; no known antidote exists. Aconite is contraindicated for all conditions, especially in patients with arrhythmias, CV disease, or hemodynamic instability; in those with known hypersensitivity to the plants; and in those who are pregnant or breast - feeding. Aconite is poisonous and can cause harm even death. Aconite is not recommended for self-medication. Excess use even in external application can cause poisoning. Do not use the these herbs for any use, medicinal or otherwise, without first consulting a qualified doctor.